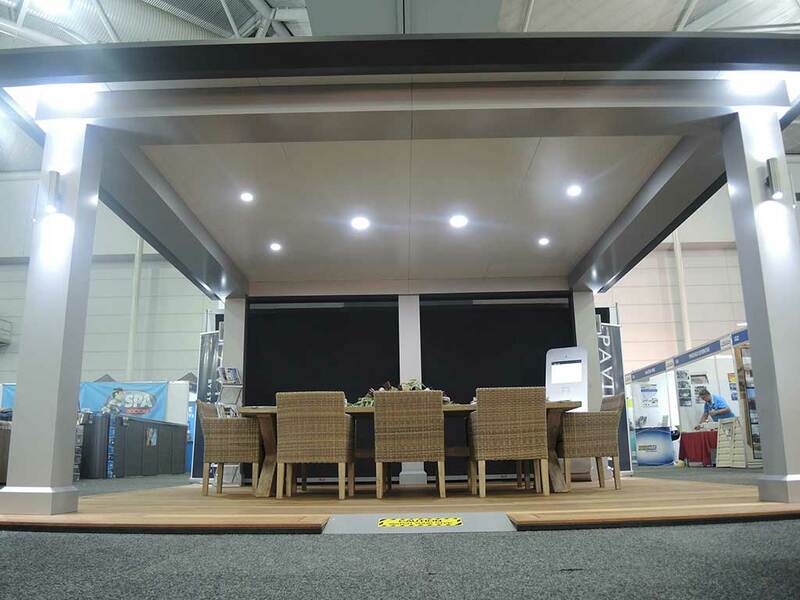 The Stratco Pavilion Slique designed in Queensland. 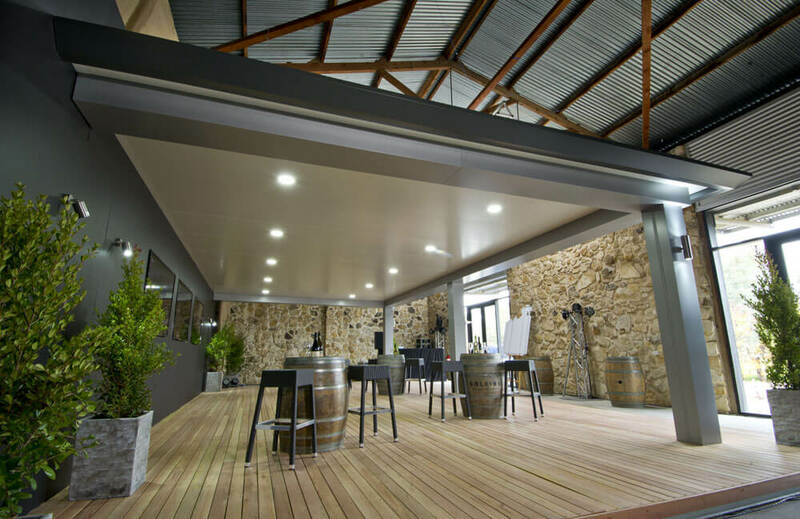 The first thing to expect with “The Pavilion Silique” is a big improvement in the appearance of the columns and support beams. 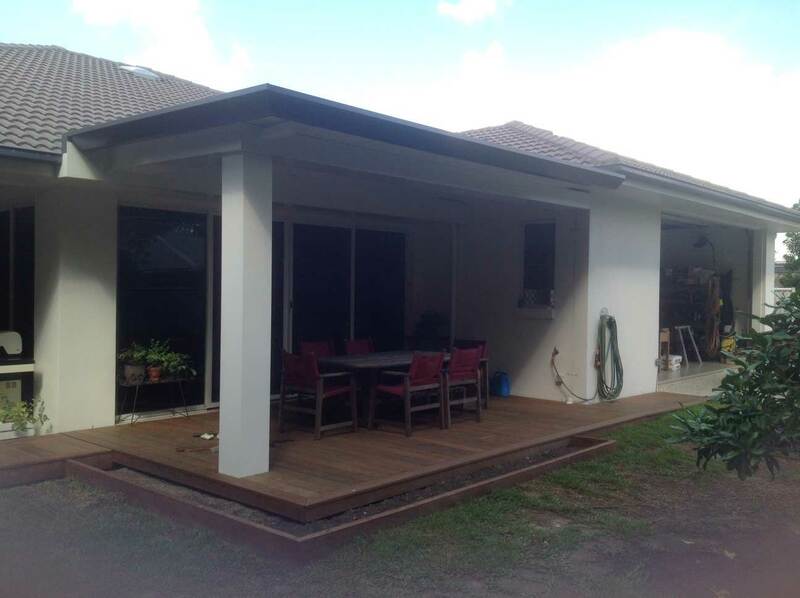 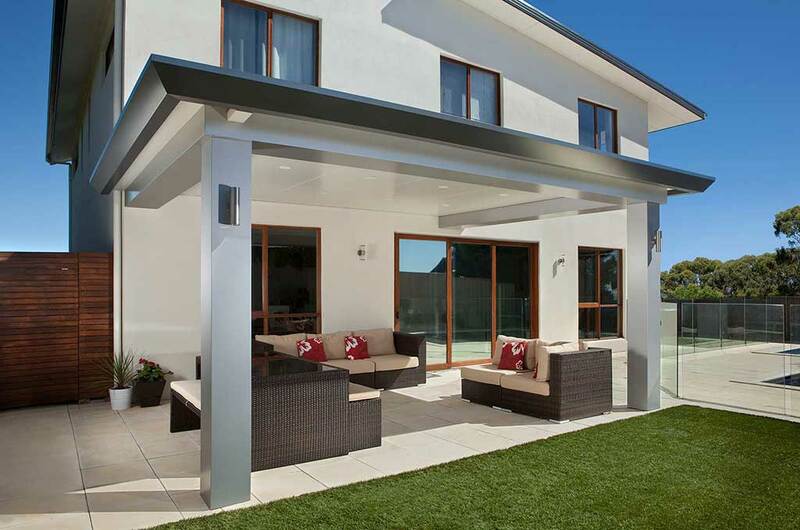 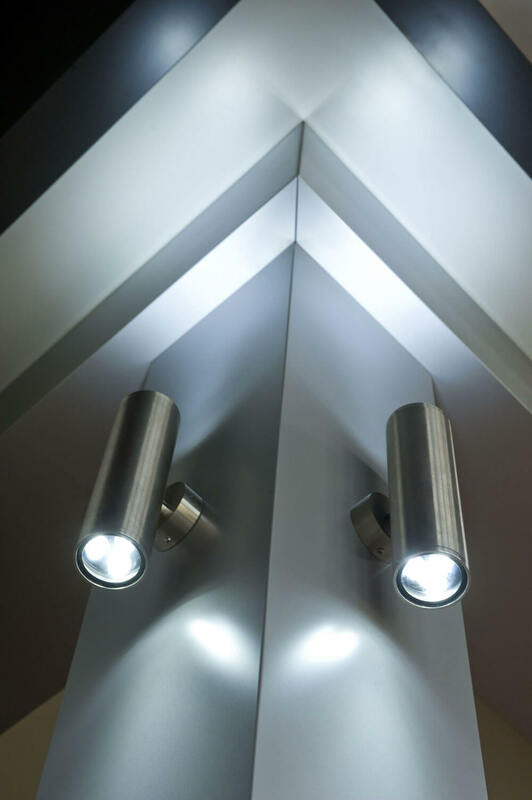 Both the columns and support beams utilise Aluminium Composite Panel and concealed fasteners. 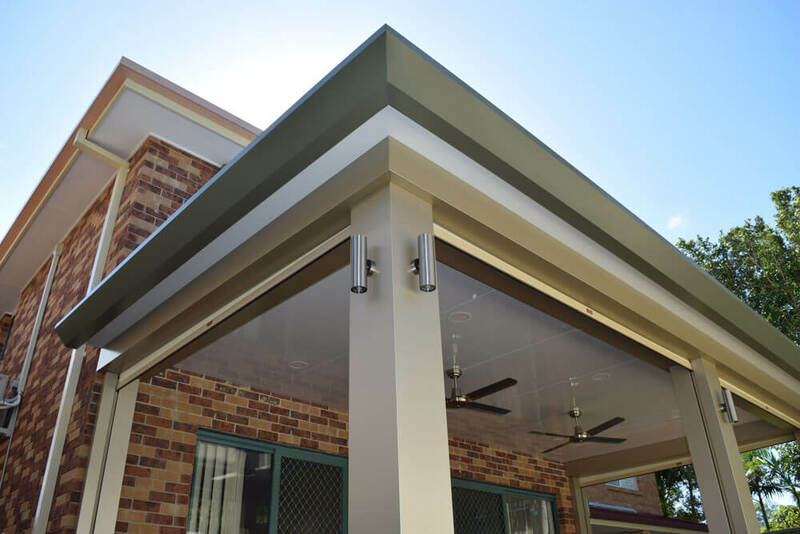 These create a bulkhead/column appearance that is the benchmark in Stylish Patio design. 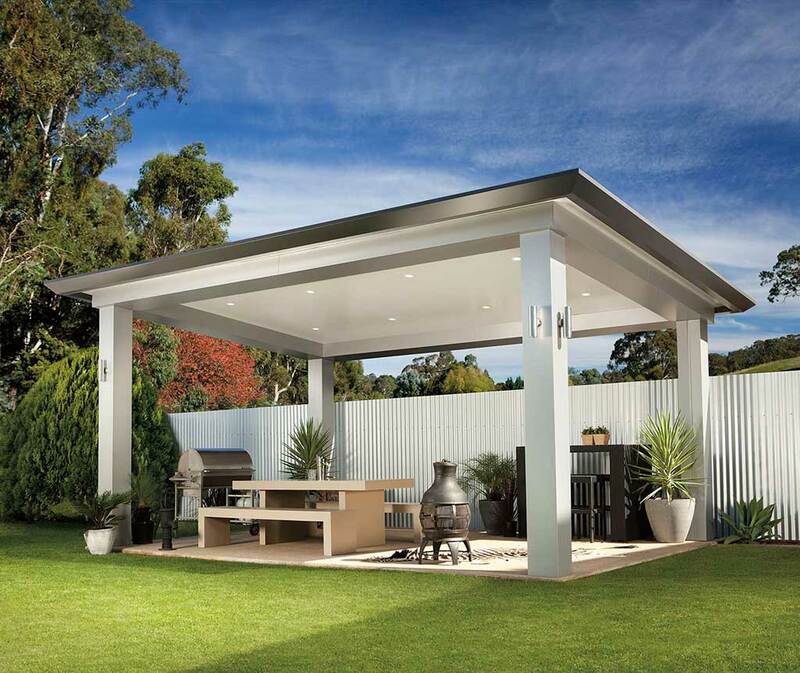 The patio and entertaining doesn’t have to look like an add-on to your property. 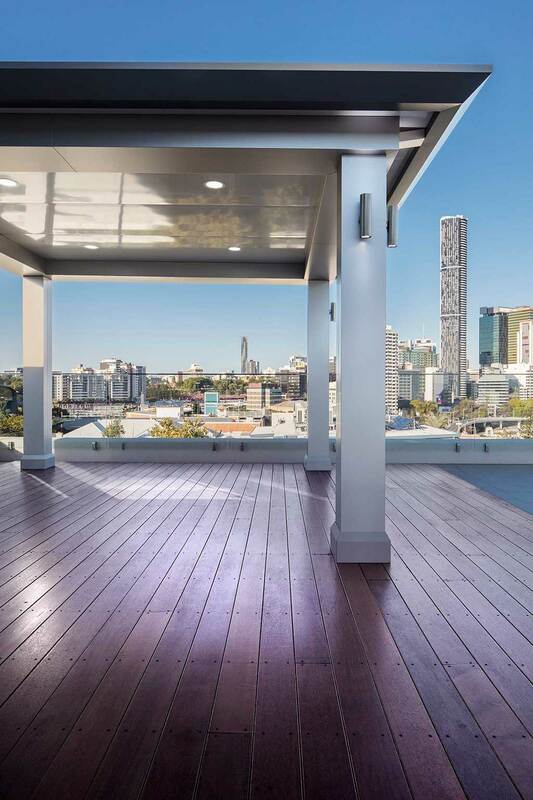 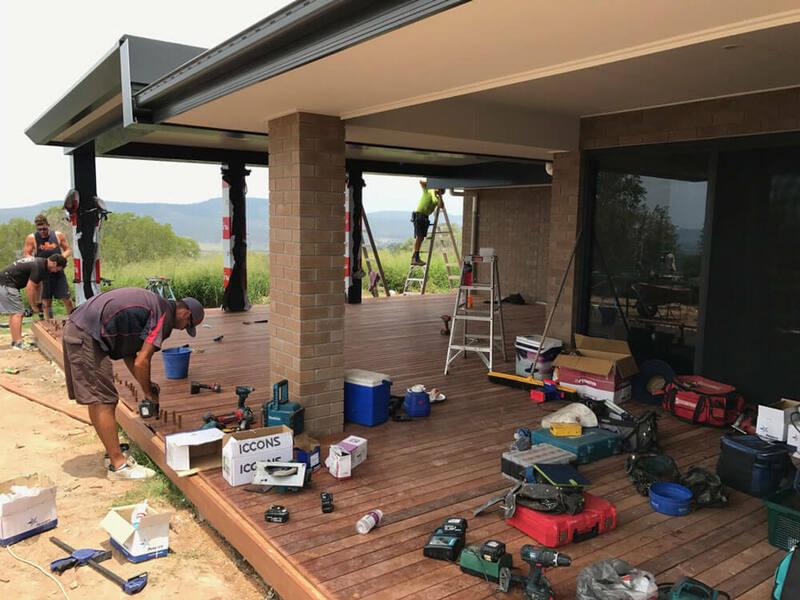 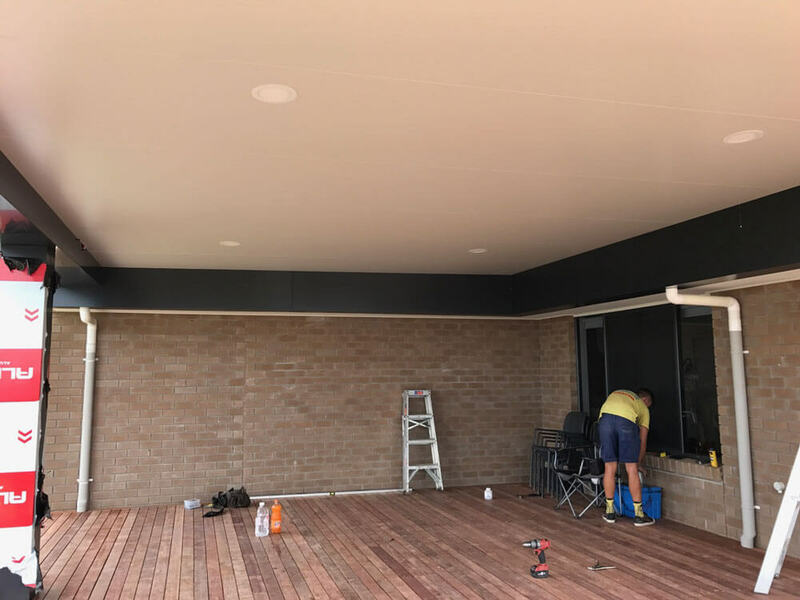 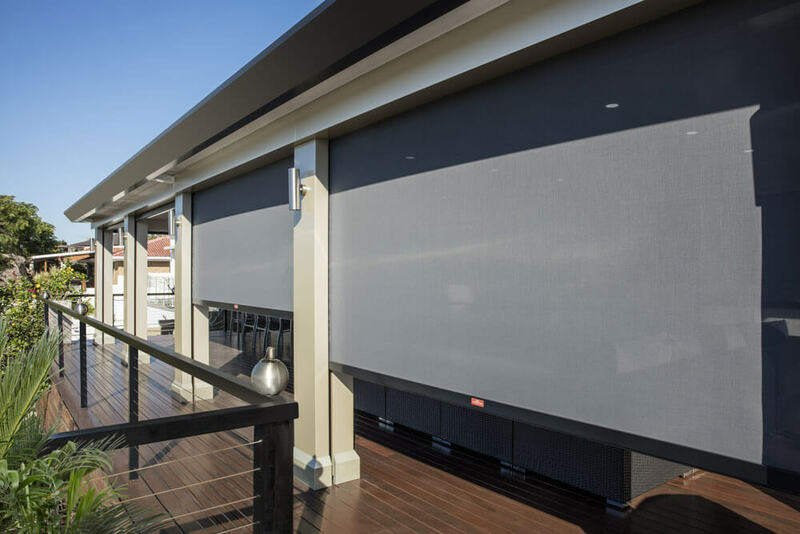 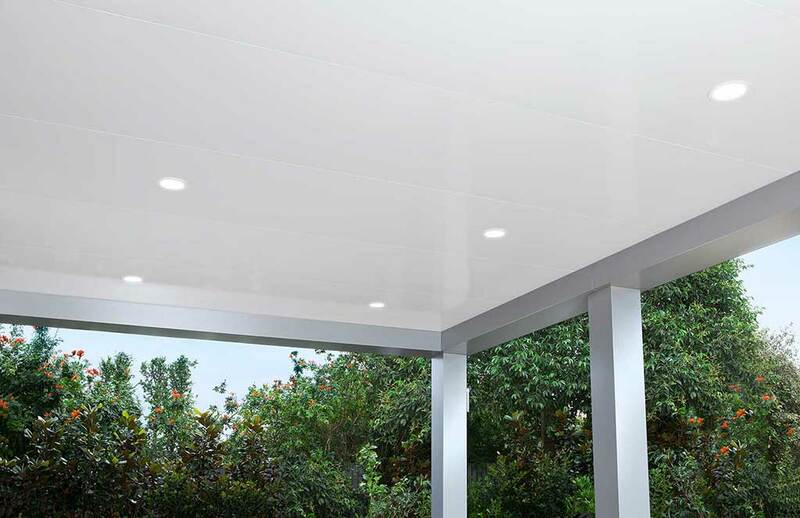 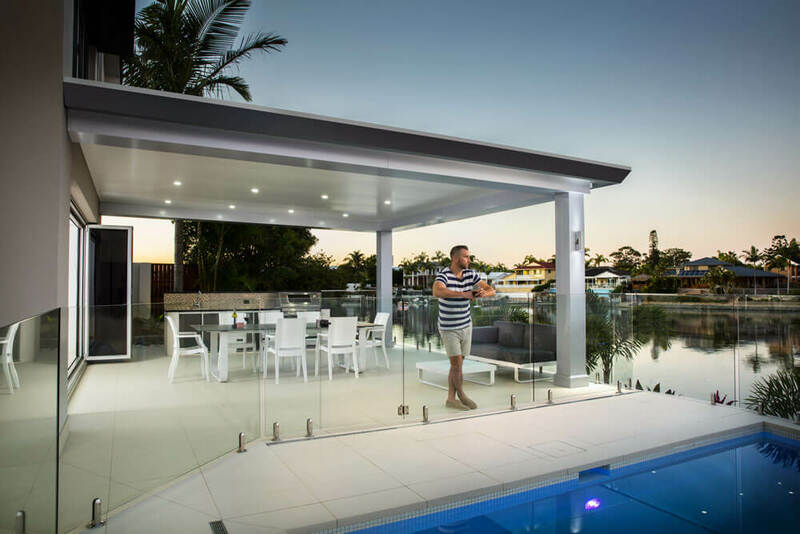 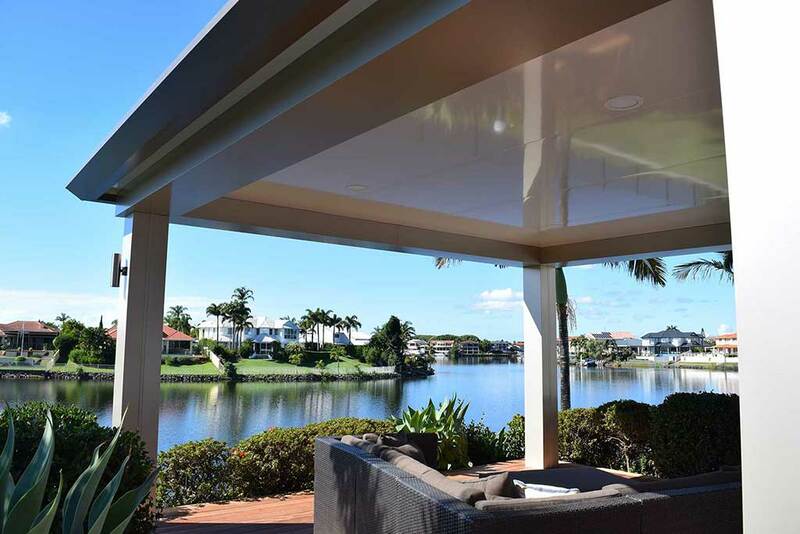 Secondly, the addition of dimmable LED lighting and Pavilion daylight boxes ensures your Brisbane patio has the perfect day and night lighting solution. 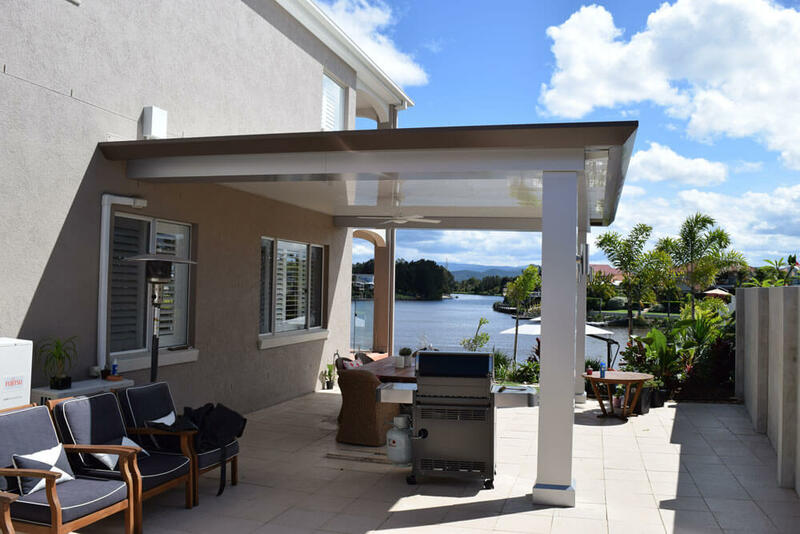 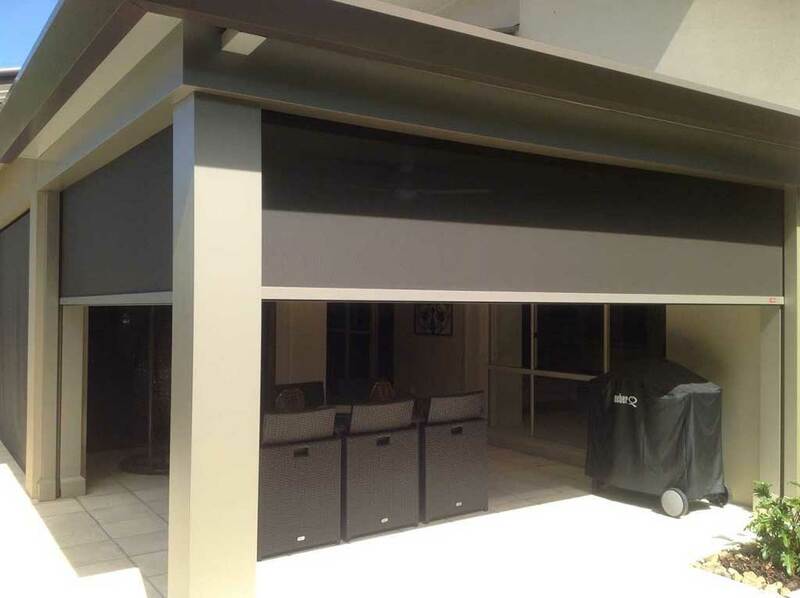 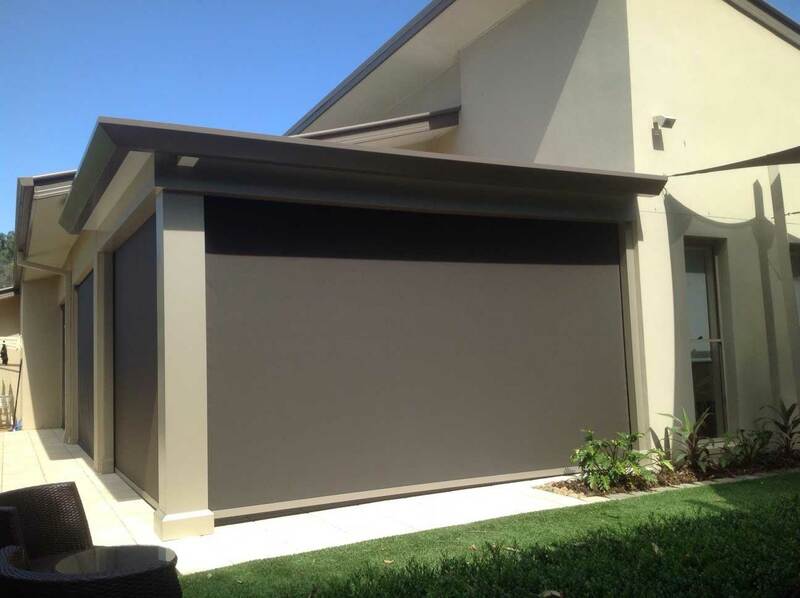 Increased roof spanning capabilities allows for larger entertainment areas of cover, all within the household budget. 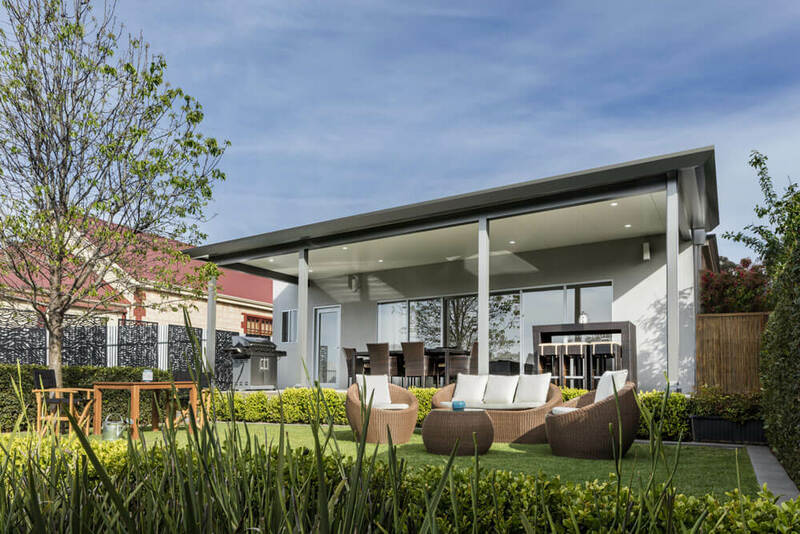 These points of emphasis are to be expected from Adaptit Group as we place this much value on maximising outdoor entertaining space and affordability. 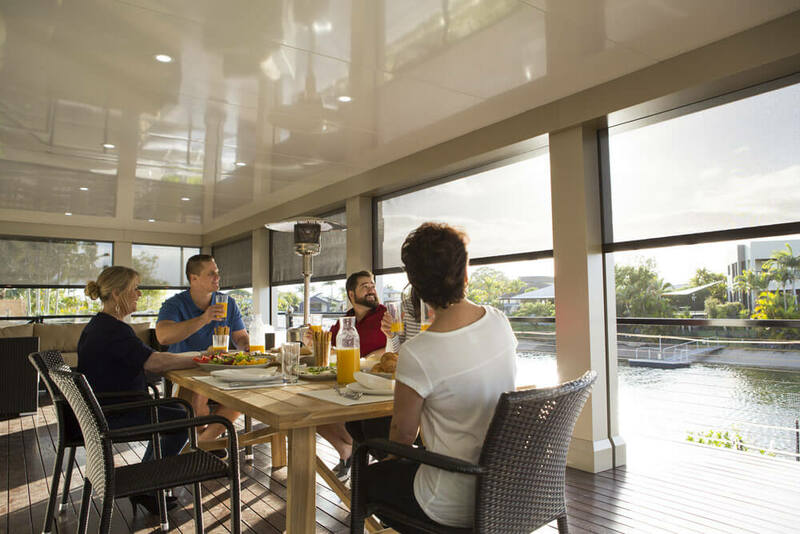 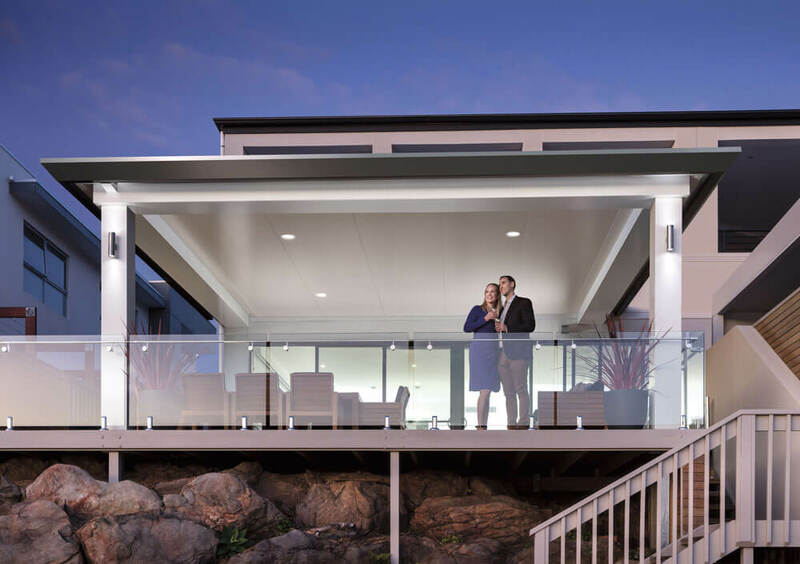 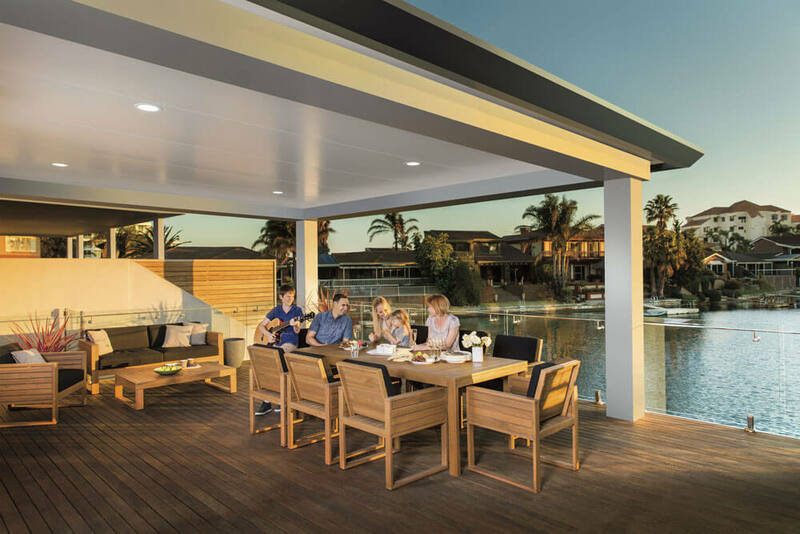 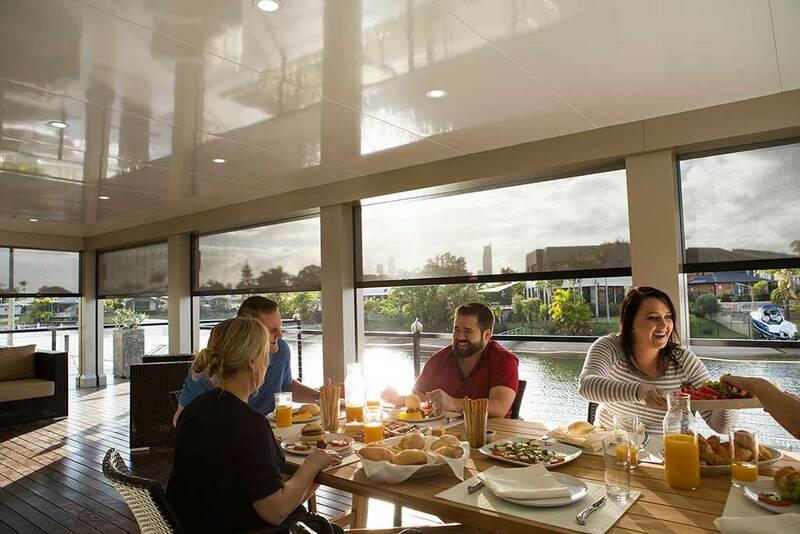 The Stratco Pavilion Silique provides an affordable outdoor living area and the next generation of the alfresco lifestyle. 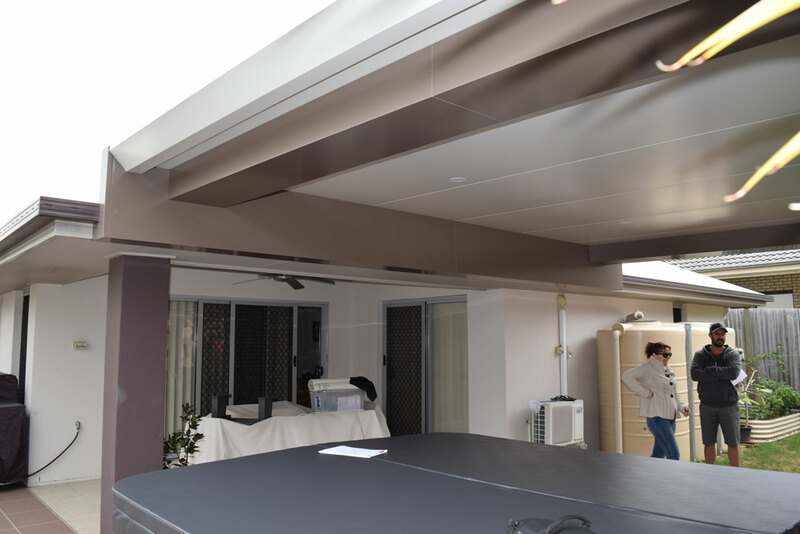 It has taken Stratco 3 years to develop, from start to finish, from the initial idea to creating the final product. 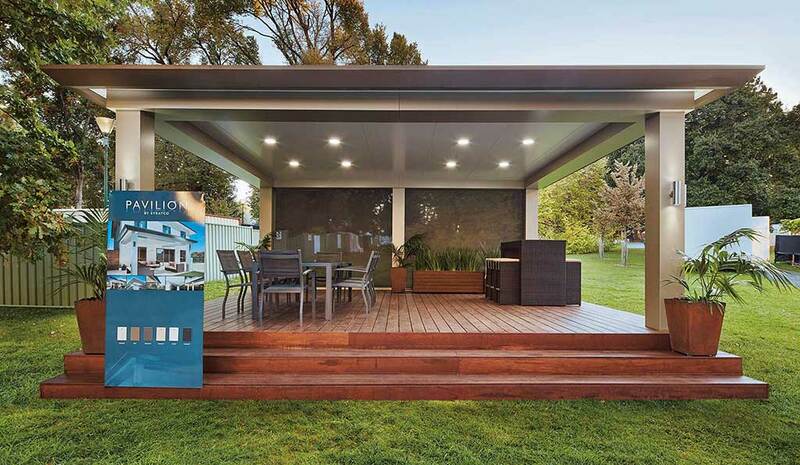 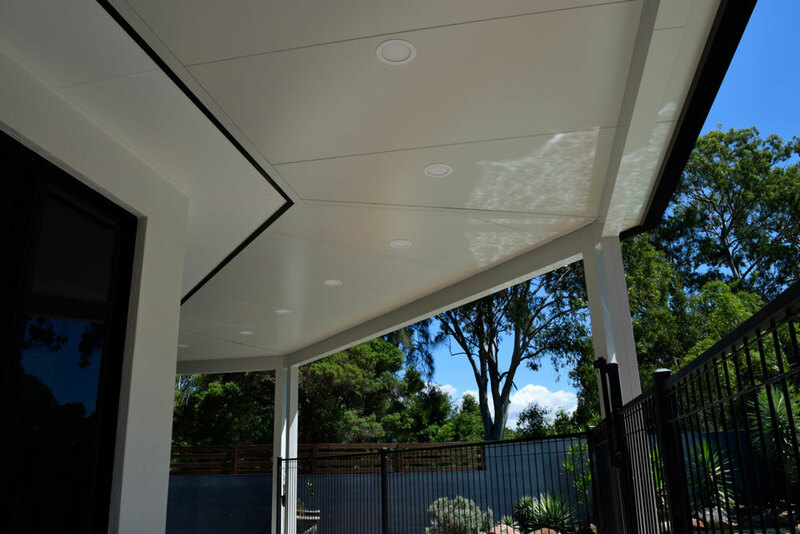 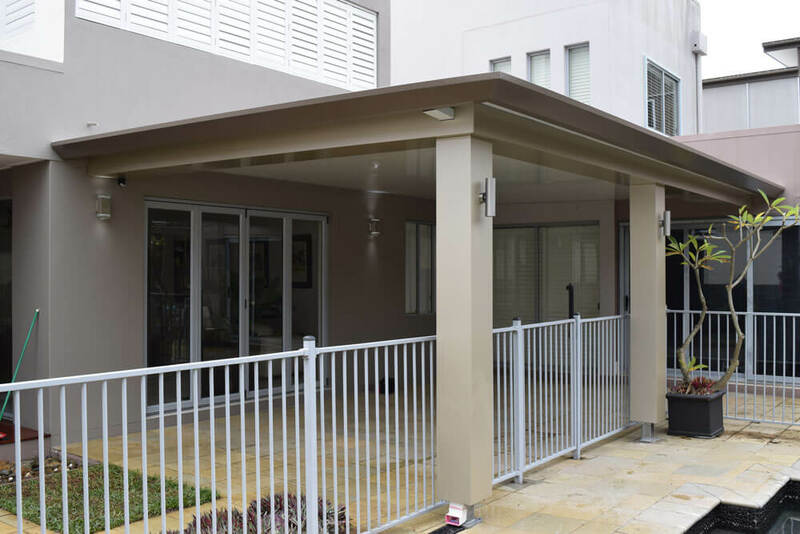 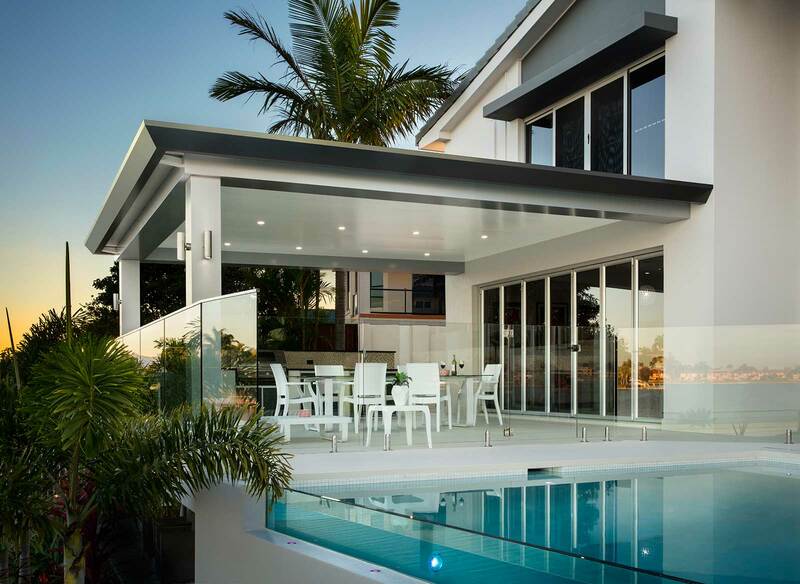 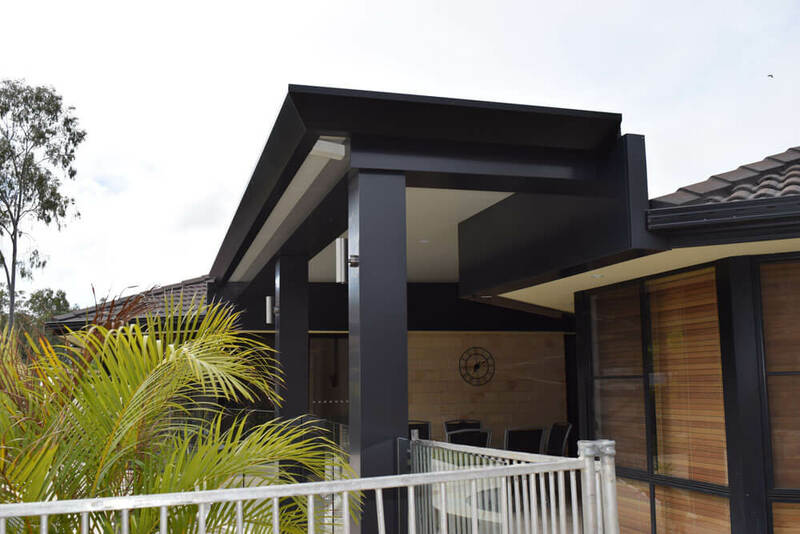 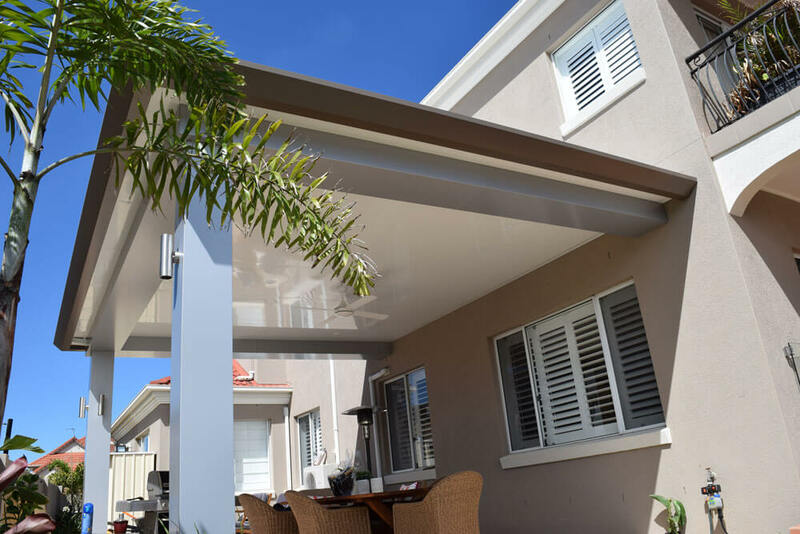 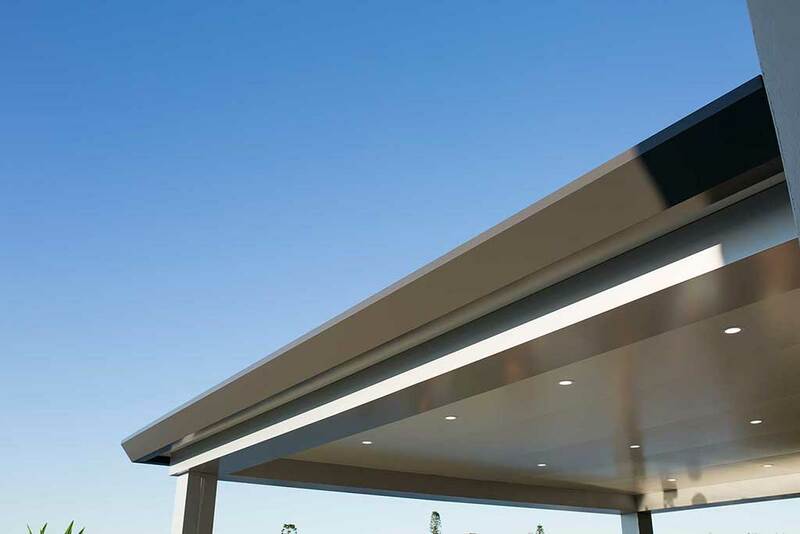 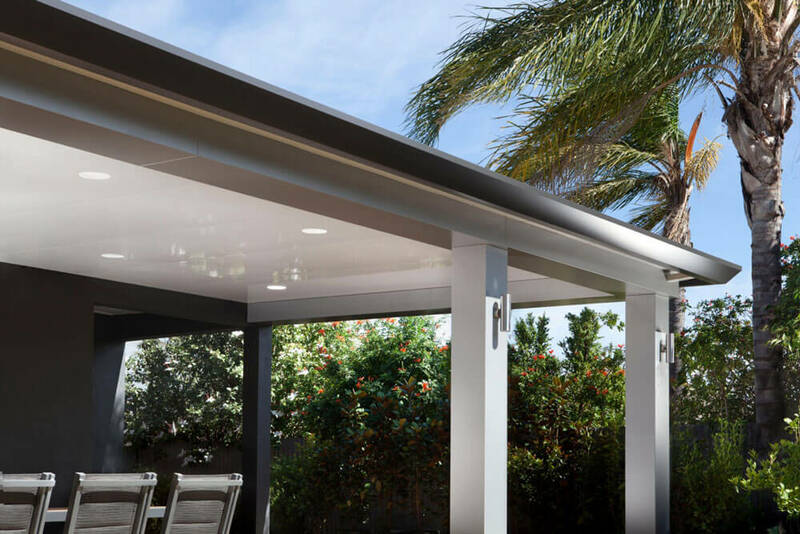 The “Pavilion Slique Patio” is also made up of insulated roofing, concealed fasteners and downpipes and an unparalleled aesthetic. 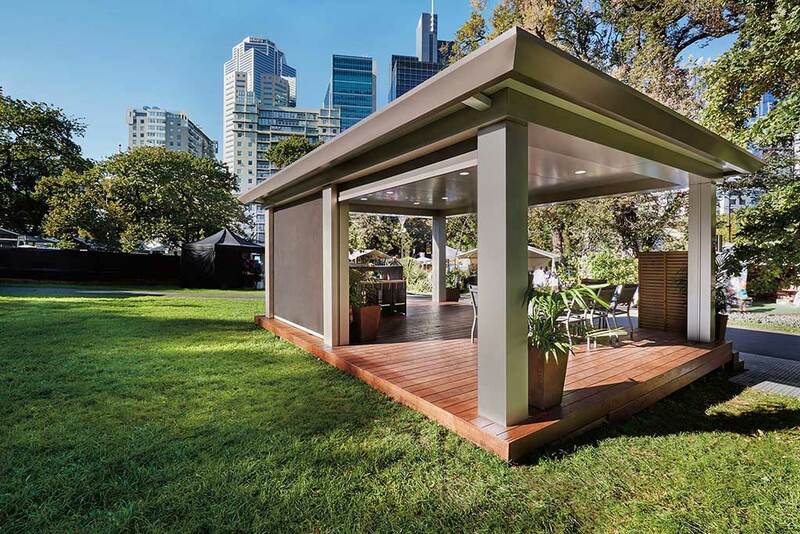 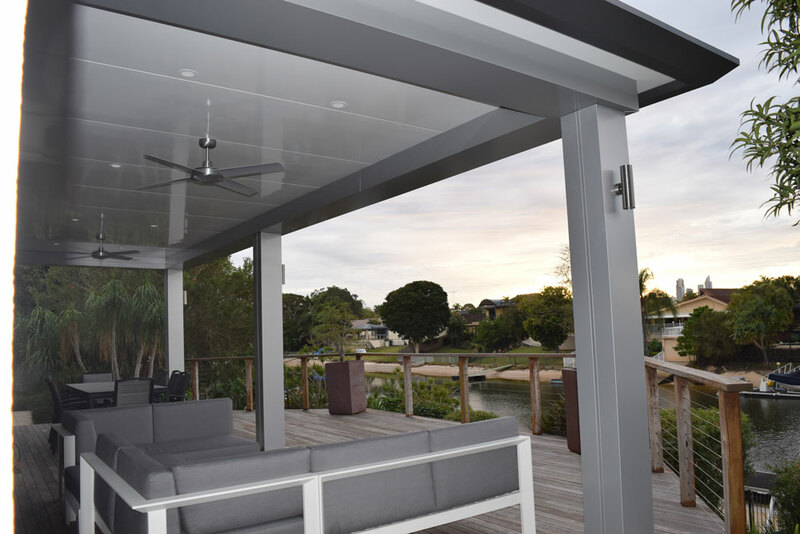 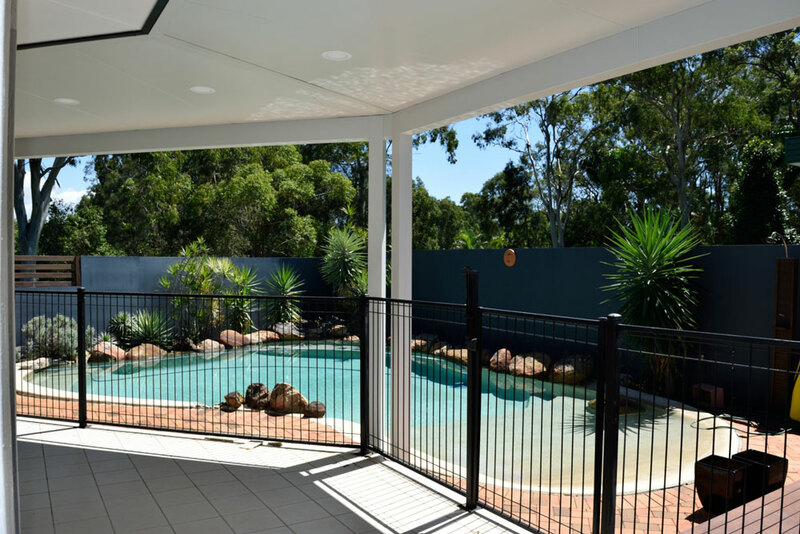 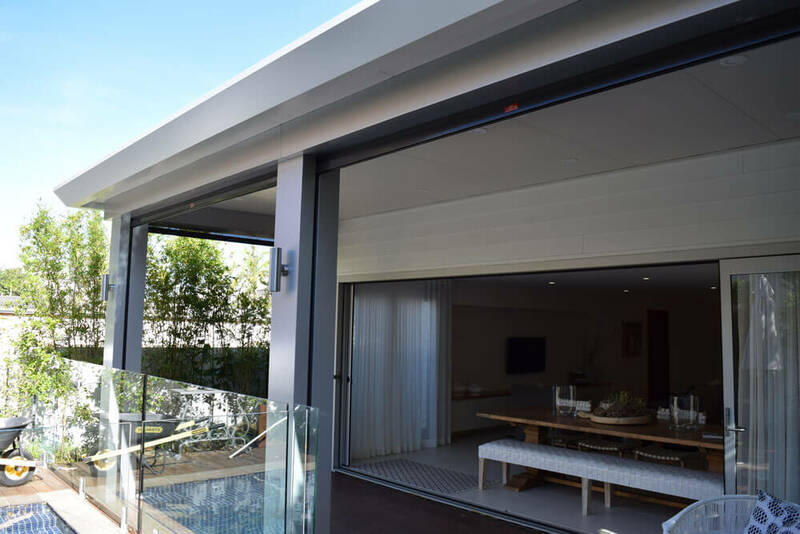 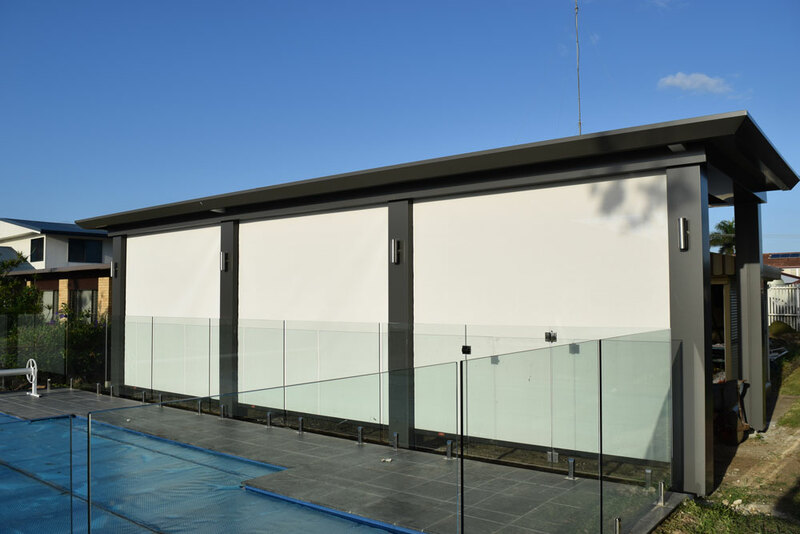 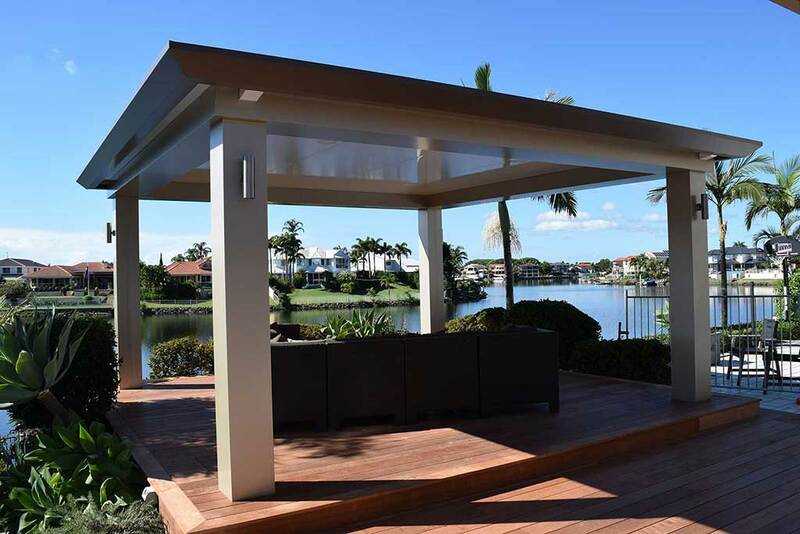 The Pavilion Slique is backed by Adaptit Groups 6.5 year workmanship guarantee and Stratco’s 15 year structural warranty. 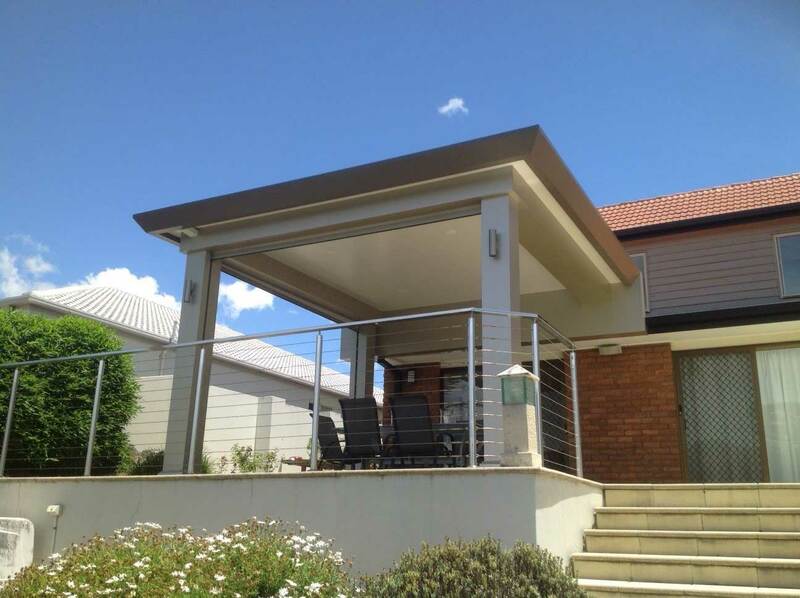 Contact us today on 1300 423 278 or complete our quick quote form now.